We are a fair trade store, where customers can buy handmade products made by artisans in Kenya, East Africa as well as local artisans and other groups from around the world. 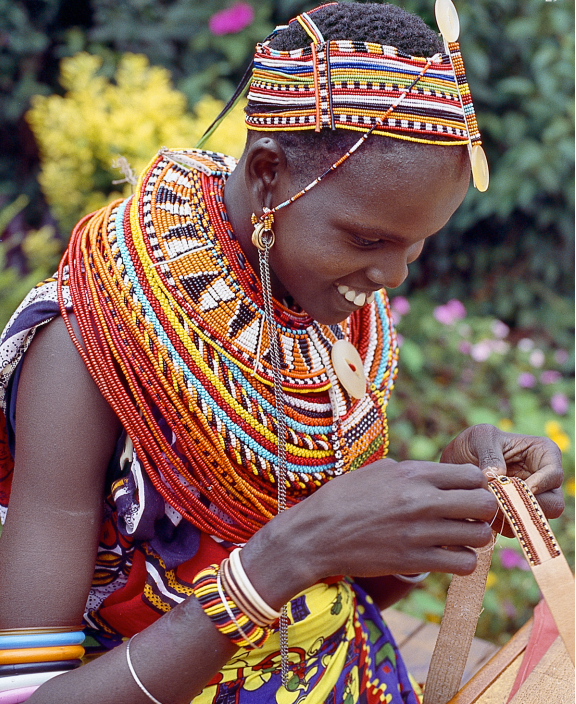 Partnering with you our customers to introduce to the global marketplace and expand the reach of the small, micro-economy artisans of East Africa, to enable them to earn enough to support their families, business and community. By providing a platform for underemployed artists to share their work: beautiful, high-quality, design led, ethically produced and environmentally friendly one of a kind products to the global marketplace. We believe that buying small, supporting one another, and creating opportunity empowers people, their art, and communities. We are proud to provide our customers one of a kind handmade, ethical goods at accessible prices. I am African Canadian, originally from Kenya, where my entire family lives. I miss the food and laughter, and i'm passionate about the creativity and artisanry found in Africa and in my city of Vancouver. My background includes working in the corporate world for almost 18 years, a career that took me from wildlife and people conservation earlier in my career, to the big, wonderful, fast and crazy world of advertising and branding. I learned so much about products, brands and us as customers, while being part to teams tasked with launching major products in Canada, like Loblaws Blue Menu Line, Joe Fresh style, Mcdonald's Angus burger and Mac Mini, the BC Ferries Vacations brand and much more. As I advanced through the corporate ladder, becoming ever more knowledgeable of business, I kept in the back of my mind a long time dream of becoming an entrepreneur, following in my mother and grandma's footsteps. In the process of creating a bigger and bigger network, I realised something; I loved fashion, dressing up for work and events, giving advice on looks, was always the one everyone will comment an outfit i'm wearing. 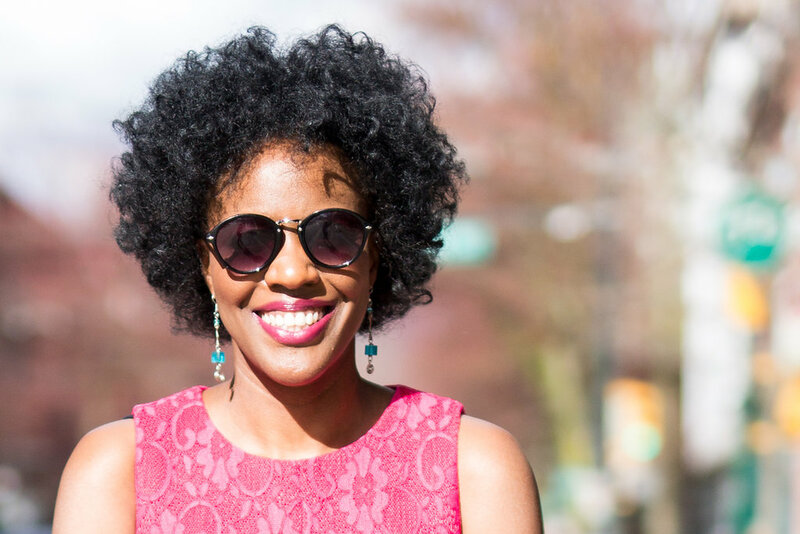 What I never anticipated was that my idea of style - modern, trendy, infused with hints of Africa, largely on the handmade side of African accessories, would be interesting to people I encountered. "I LOVED that purple purse, where did you get it? Can you get me one please?" "OMG your shoes! I want them!" "Is that African art on your scarf? I'd really love one!" Pretty soon, whenever I'd visit family in Kenya, I’d come back with items for me, a few weeks/months later, they'd be gone, hijacked or "borrowed" by friends. It became clear there was something special here, and so Kasandy was born as a business. My pride and joy is to introduce you, my online (and offline) friends and customers, to the wonderful products made by Kenyan and East African artisans, to connect their stories to yours, and your story with mine and together making a difference, while looking good. Our products are more than beautiful or unique – they give back. 1. Capital in the form of micro-loans to start their small business and use their creativity to make a living. NGO’s and micro-loan entities work to help with launching new ventures. Canada has programs that lead in this space. 2. Market – Artisans need a space to sell their wares. This is where I and LG come in. When artisans create beautiful products but have no way to reach customers, their families struggle. Being African, I know how hard it is for an artisan to wait to receive the proceeds, if and when their products have been sold. At Kasandy’s LG store, we shoulder the risk for the artisans. We buy products outright, directly at a price set by the artisans. Craftspeople are paid immediately, and then it's up to us if, when, how that product is sold. If it never sells, we take the loss. 3. Sustainability - By having our store (including online at kasandy.com) selling products consistently, artisans receive a regular source of income. I often create new products in direct consultation with makers, resulting in inventory that can respond to customer requests. 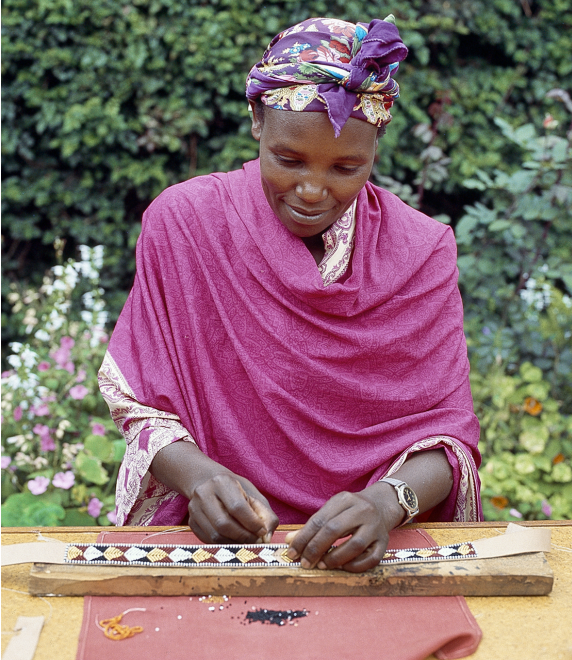 Steady payment for artisans means that they can provide education for their children and stabilize their communities. Choosing to buy the products you normally would at Locally Global means you’re giving an artisan in the developing world the opportunity to make a living. 4. Environmental Impact - Emerging economies suffer most of the effects of global warming. The rule at LG is all our products be made using either recycled, upcycled or ethically sourced materials only. You’re making the world a better and greener place by buying handmade products that use recycled, upcycled, and or ethically sourced. You look good, and feel good. Growing up in Kenya, one of my first jobs was in wildlife conservation. I was always pleasantly surprised at how generous people – especially in the western world – were towards wildlife conservation. I also volunteered for an orphanage, and living in Nairobi it was easy to see the struggles of many families. I came to discover that wildlife conservation receives three times more donations than human aid initiatives. women. I collaborate with other like-minded businesspeople to expand that scope. How do we choose which items/brands to stock in our shop? I travel to meet and cultivate artisan groups directly. Quality is the most important thing: inspecting working conditions and making sure I as a business and the artisans I work with adhere to fair trade standards. I collaborate with creators on design, keeping an eye on current market trends, and the artisans charge me a fair price for the products produced. Artists also introduce me to new ideas and materials, which is one of my favourite parts of my job. I then buy and ship the products here for the store. In the shop, beyond LG/Kasandy products, I personally decide the items and brands that will be in the store from other vendors. They have to meet fair trade standards, be unique and interesting, with a measurable positive impact on the artisan groups or communities. We need to know the craftspeople and tell their stories, while maintaining a focus on recycled, up-cycled or ethically sourced materials. Most importantly, everything we stock has to be practical and cool. Things we’d want to get for our closest friends and family.